With the invention of dry photographic film and the development of the Kodak box camera in 1888, the art of photography was opened up to the masses. Even then, for decades afterwards, film cameras required the use of a darkroom to develop their photos. Special training and messy chemicals were required to produce prints from film negatives. The 1947 invention of the instant Polaroid camera enabled photographers to shoot pictures and view prints moments later, but Polaroid film was fairly expensive. More recently, the invention of the digital camera has made it easier than ever for everyone to shoot, enhance, print, and distribute pictures. All around us, photographers are taking digital pictures. Local camera shops are busier than ever, selling everything from point-and-shoot cameras and SLR cameras to digital camcorders. Not only are cameras available at these shops, but also accessories like lenses, tripods, and camera bags. Shop owners demonstrate and sell these products to professional and amateur photographers alike. Digital camera reviews, available in photography magazines and on the web, can also be helpful to prospective camera buyers. 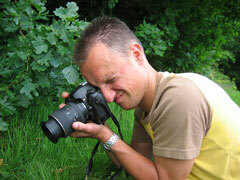 Other websites provide tips and pointers on techniques such as portrait photography, wedding photography, and even horse photography. 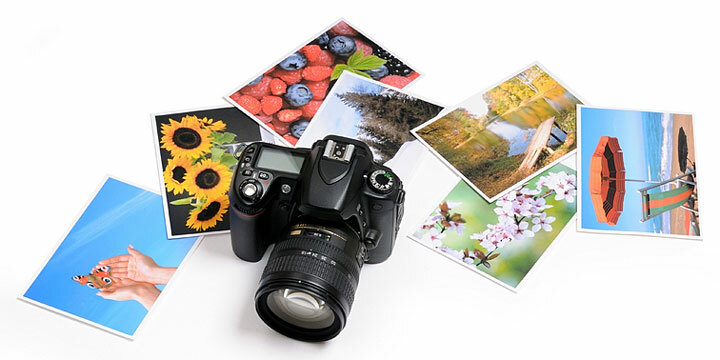 Special photograph printers can print photos at home, while printing services at a camera shop can produce colorful prints in many sizes to pass on to family and friends. The Internet has truly opened up the market for digital photography. Photographers can sell rights to their photos through online stock photo agencies. Licenses to use royalty free photos and rights-managed photos can be purchased for a fee, and these digital images can be used for everything from newsletters to colorful magazine ads and online brochures. 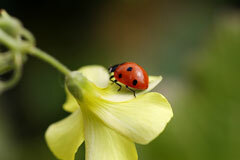 The number of photos available on these stock photography websites boggles the mind! For more information about photography, please visit Wikipedia's history of photography page. Alphabetized lists of, and links to, photographic equipment manufacturers and photographic equipment retailers throughout the United States are available on these manufacturer and retailer directories. Directories of event photographers and specialty photographers in the USA, organized by State, are available as well. Photography-related video resources include a photographer using a camera and a tripod, a rotating video camera, and a rotating SLR camera and lens.